Educational psychology has historically had a focus on students with particular learning needs. This book provides a discussion about the gradual movement toward inclusion and the possibility of developing a more cohesive and potentially more effective education system for all students. 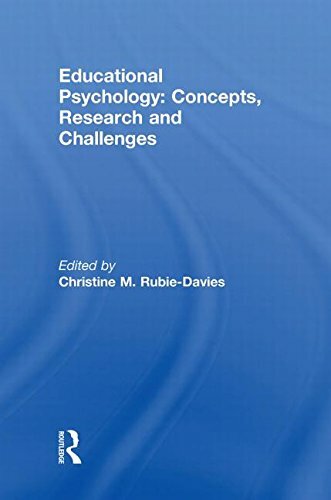 It also provides recent research into effective behaviour management and presents specific and valuable techniques employed in applied behaviour analysis.ÃÂ The contributors also deliverÃÂ analysis on the motivation of students and how home and society in general can contribute towards constraining or enhancing student learning. About: Research in educational psychology has had aÂ huge impact in terms of enhancing understanding and challenging thinking about teachers and learners. About: Research in educational psychology has had a huge impact in terms of enhancing understanding and challenging thinking about teachers and learners.